Why ambient? A math teaching style that’s whole and all encompassing, with themes that repeat many times through the years, is most likely to be effective and successful. Because the Common Core Grade 1 Math Standards address addition and subtraction exclusively, they will appear here later, in conjunction with the blocks that focus on the 4 processes. Earlier math blocks focus on meeting the numbers up close and personal through stories, movement, art, form drawing, and hands-on activities like making real numbers. The numbers should come together for calculation only after an in-depth introduction has established them as friendly and personable, so essential for circumventing math fears and phobias! The second math block should focus on making real numbers. Why? Our base-ten, Arabic numeral system is simple to grasp; there are only 10 number forms to learn, 0-9. These numbers however, have little to no correlation to their visual appearance, as the Roman numerals do. Since they’re more abstract in that way, learning and writing them can be challenging. For this reason, sculpting or forming the numbers by hand can be very helpful. 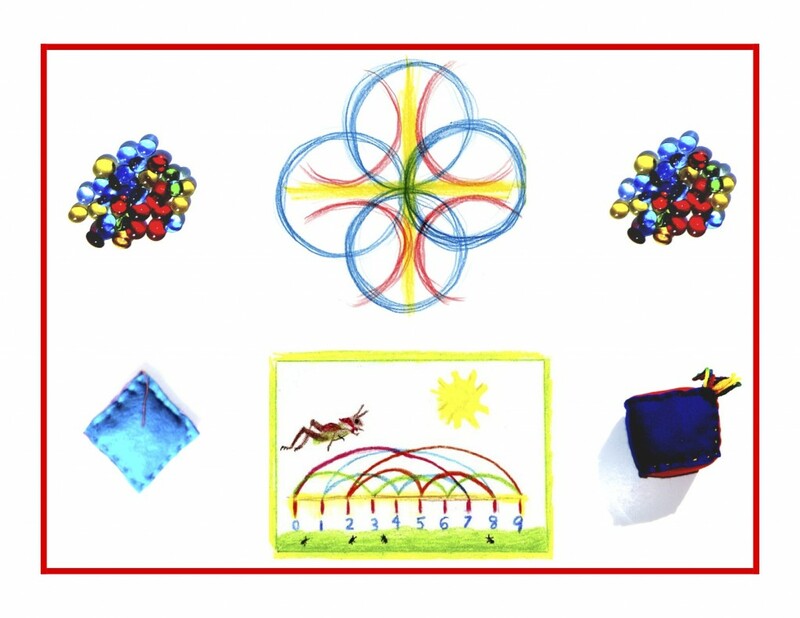 The Math By Hand / Grade 1 / Kit 2 / Real Numbers contains materials and instructions for making three complete sets as shown below using pipe stems, clay, mixed materials, and play clay. The numbers are fun to make, help to insure correct formation, and allow an affinity for each one as it’s lovingly created by hand. In the Grade 1 Daily Lesson Plans book, the second math block (Real Numbers) focuses on one number a day, as the same number is made by hand using a variety of materials. 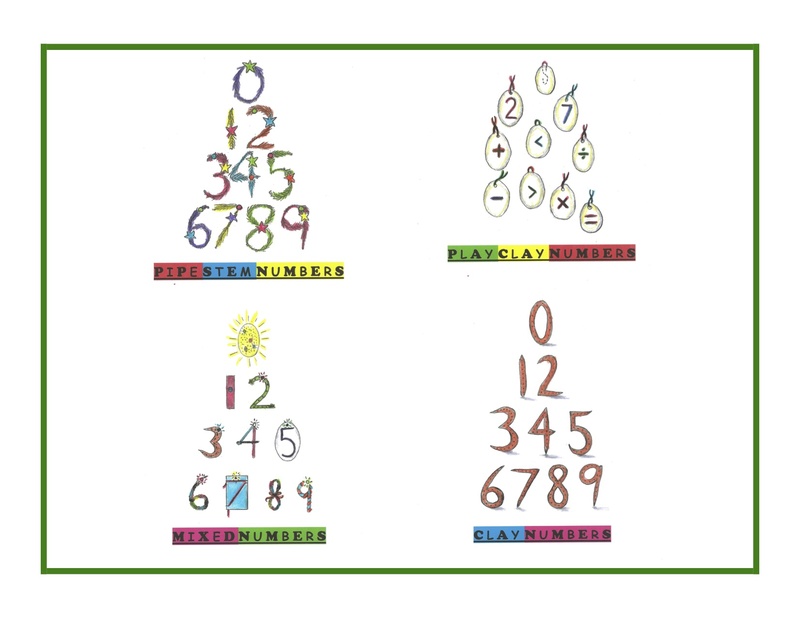 These number sets and operations signs can be used later for learning and practice with the 4 processes. Knowledge ensues in an environment dedicated to imaginative, creative knowing, where student and teacher alike surrender to the ensuing of that knowledge as a worthy goal. Tune in tomorrow to find out why all 4 processes are taught at once in Grade 1.